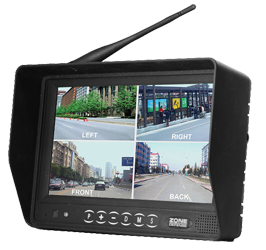 Zone Defense® Heavy Duty Colour Camera equipped to include: Night Vision, 120 Degree Lens, Microphone, 10G, IP69K. 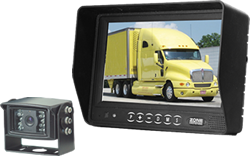 Available in standard and heated version. 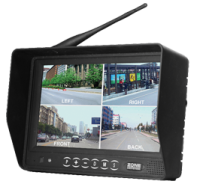 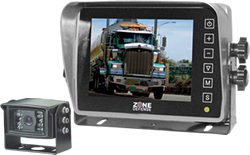 Zone Defense Digital LCD Monitor to include: LED backlit, 7G, Rear, Left and Right switchers built into monitor, and automatic distance gauges triggered in reverse.